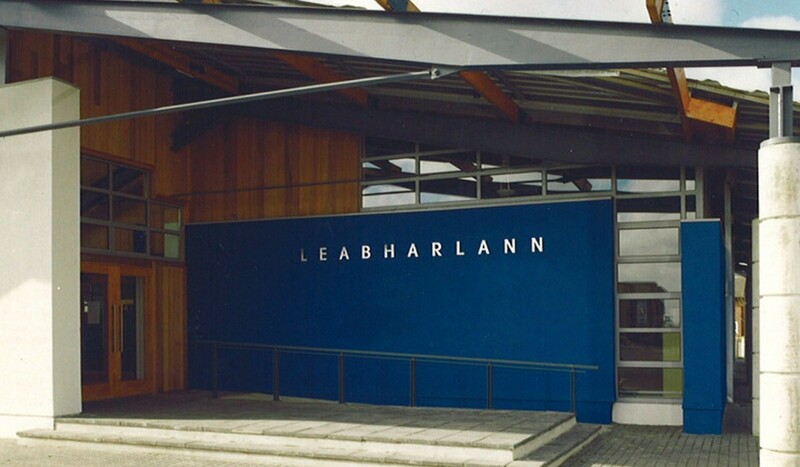 Built in a suburban Limerick location on a site within the Crescent Shopping Centre, it was intended to become the principal public library for Limerick County. 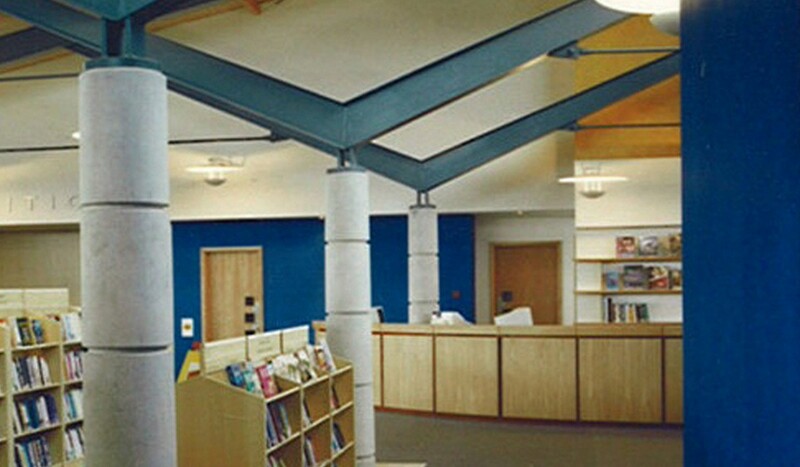 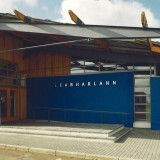 It accommodates an adult library, children’s’ library, multipurpose space (for teaching, exhibitions, functions, etc.) 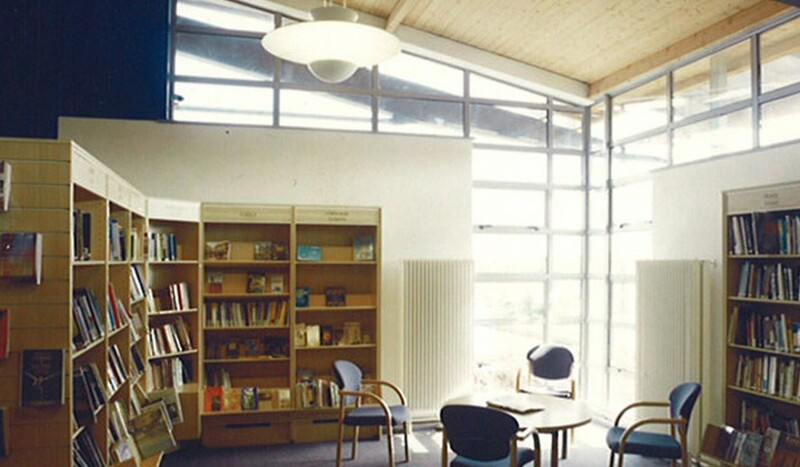 and administration space. 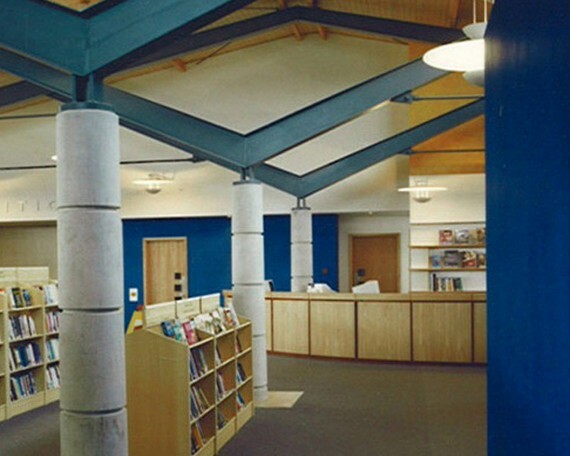 The brief required a large, welcoming naturally lit space for the library element. 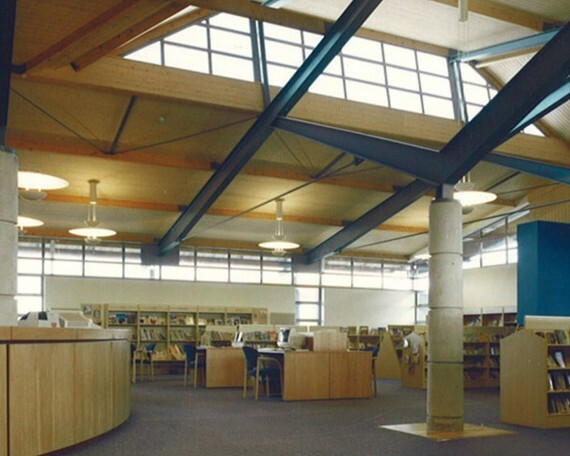 The design solution is a sweeping metal roof of irregular shape tying together both large and smaller spaces, with a large rooflight over the library spaces. 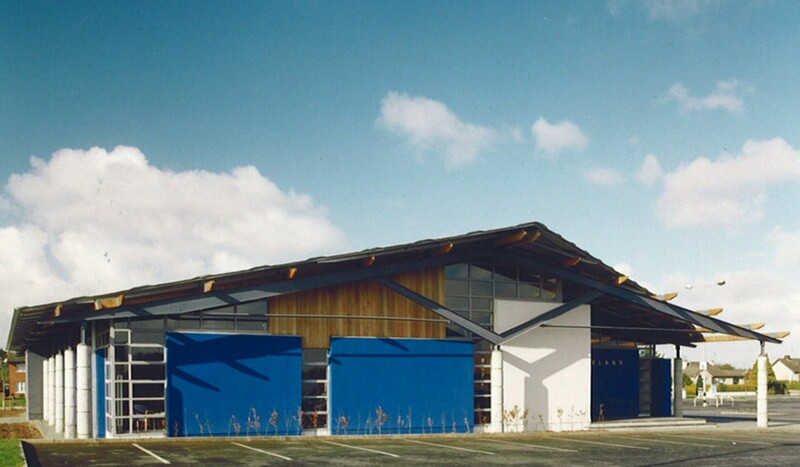 Predominant external materials are metal, coloured render and cedar sheeting. 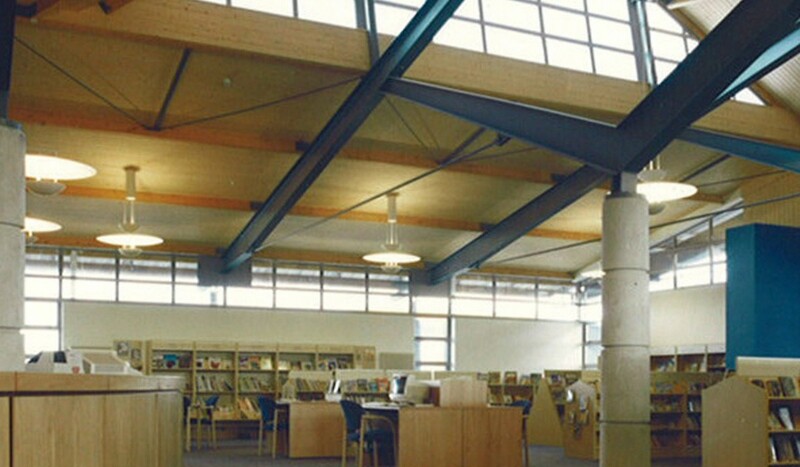 Internal the building is finished using timber sheeting, timber fittings and carpeted floor.